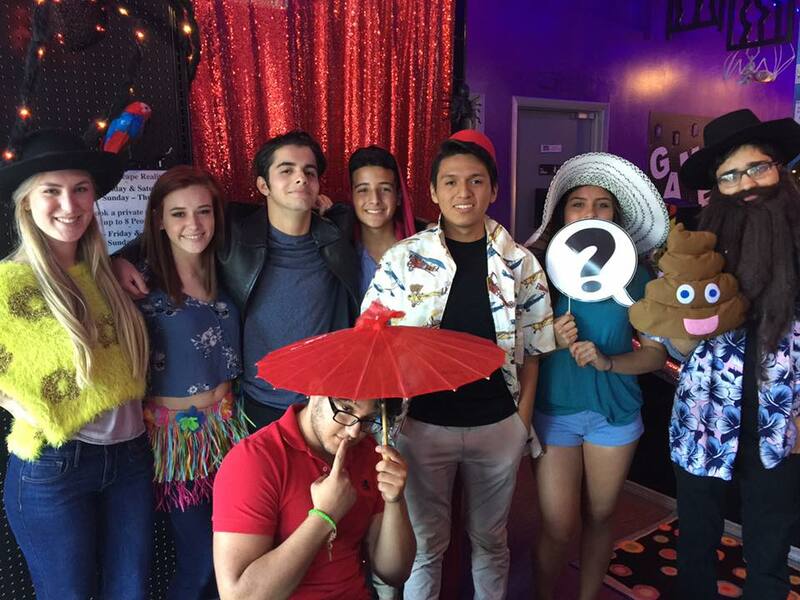 Do something definitely different and have your birthday party at Escape Reality! We love to make your celebrations special and we have a lot of extras to add to the fun. It's the perfect choice for teens, grown-ups, or people who are just pretending to be grown-ups. 1 Escape Room of your choice (1 hour), 2 additional hours in Party Room (Karaoke + Trivia Games). 1 free soft drink per person. 2 large pizzas with 1 topping (contact us for other catering options). All 8 person party perks + 1 Additional Escape Room + 1 Extra Pizza. All 8 person party perks + 2 Additional Escape Room + 2 Extra Pizzas. Please stop by or give us a call to book your birthday party! We would love to give you a tour of the facility and show you all the reasons why this will be the best birthday party EVER! Birthday party time slots are limited - Your 3 hour event can start at 1:30pm or 5pm Sunday. Friday and Saturday at 1:30pm only.